It doesn’t matter if you’re travelling around the world or looking to create a healthier lifestyle at home, clean eating is the key to wellness. Clean food energizes you, boosts your immune system and, if you’re travelling, lessen the effects of jet lag and helps you acclimatize to different environments. But what is clean eating? What types of foods are clean? Here’s a simple guide to what types of food to include in a clean diet and how to consume them. Start incorporating these ideas into your life and you’ll be feeling energized, light and healthy in no time. 1. Fruit and vegetables should form the core of your diet. Fruit and vegetables have high nutritional value in relation to the calories they provide, which means that you can and should eat a lot of them. Green plants should hold highest priority; try to incorporate more greens into your diet every day. Don’t forget about herbs, spices and plants from the sea. Be open to trying different types of colourful produce wherever you find yourself. 2. 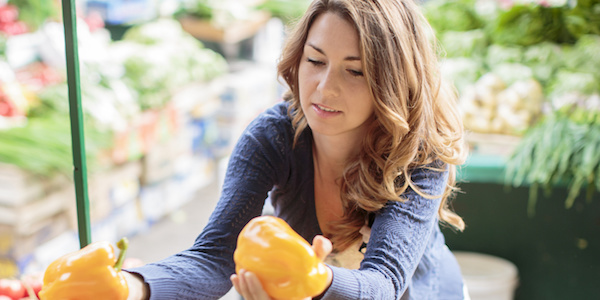 Choose regional, organic produce whenever possible. Food that is grown locally and without harsh chemicals will not affect our bodies and the environment in harmful ways. Avoid foods that have been altered from their original form. Look to foods that don’t include additives that are hard for the body to process, such as nitrates, preservatives and food colouring. 4. Eat with intention, in a way that is measured and calm. Eating with intention means choosing to really experience your food, by slowing down enough to taste it and be curious about it. Be grateful for the wide variety and quality of food available to you and the opportunity to travel and experience other types of food. 5. Eat enough to sustain yourself. If you’re eating lots of whole, unprocessed food and living an active lifestyle, you’ll be able (and will probably need) to eat more to keep you feeling satisfied and energized and not reaching for unhealthy snacks. 6. Healing food includes anything that helps cells regenerate. Naturally fermented products, food with very high nutrient densities (ratio of calories to nutritional value), plants that purify, balance and alkalize your body, and anything else that makes you feel genuinely incredible are included on this list. Some go-to healers are natural sauerkraut, celery, green juices, seaweeds, dandelion and homemade organic chicken soup broth. 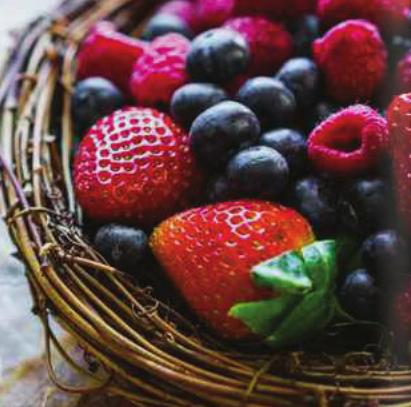 As you eat more of these superstar foods, your body tissues will literally begin to grow younger as they rebuild themselves more often and more efficiently. The aim of clean eating is to achieve a steady state that leaves you feeling well, everyday. Improve your health by incorporating some of these foods and ideas into your life then observe your emotional, mental and physical self to see if you notice a difference. As you make these changes and begin to tune in to your body, you will learn to avoid food that affects you in any negative way and embrace delicious and healthy options. Chantal Houde currently lives in Ottawa, Canada where she teaches yoga. She has an ingrained curiosity that drives her to experience life to its fullest and is passionate about nature, wellness, travel, and raw food. Learn more about Chantal and follow her wanderings on her wellness travel blog, Travel With Celery. Thinking of Switching to a Plant-Based Diet?